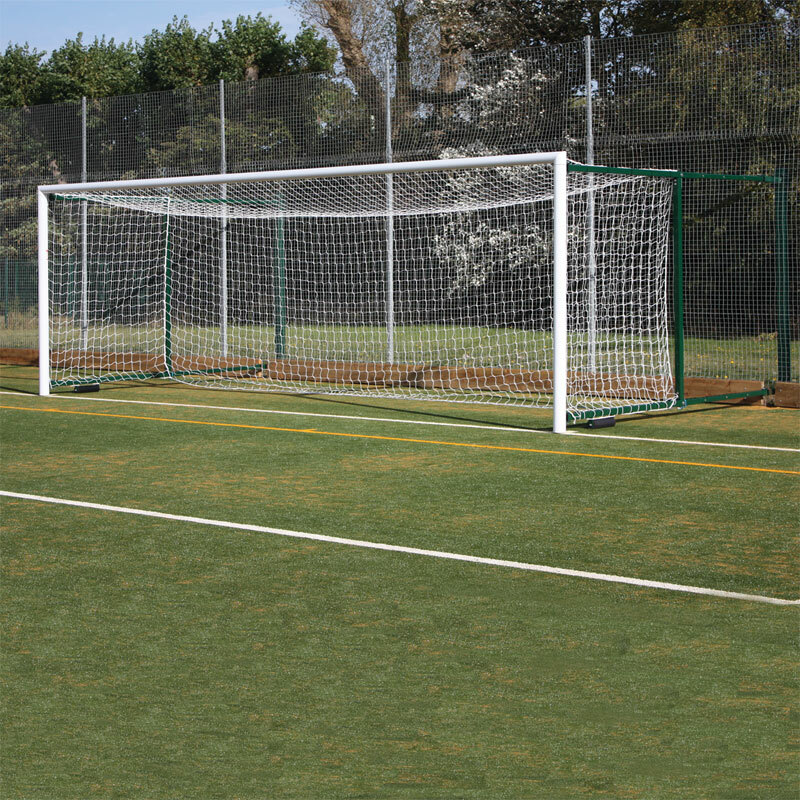 The Harrod Sport ® 3G Aluminium Fence Folding Football Posts 21ft x 7ft are ideal for synthetic surfaces and multi-use games areas designed to fold flush against surrounding fence. 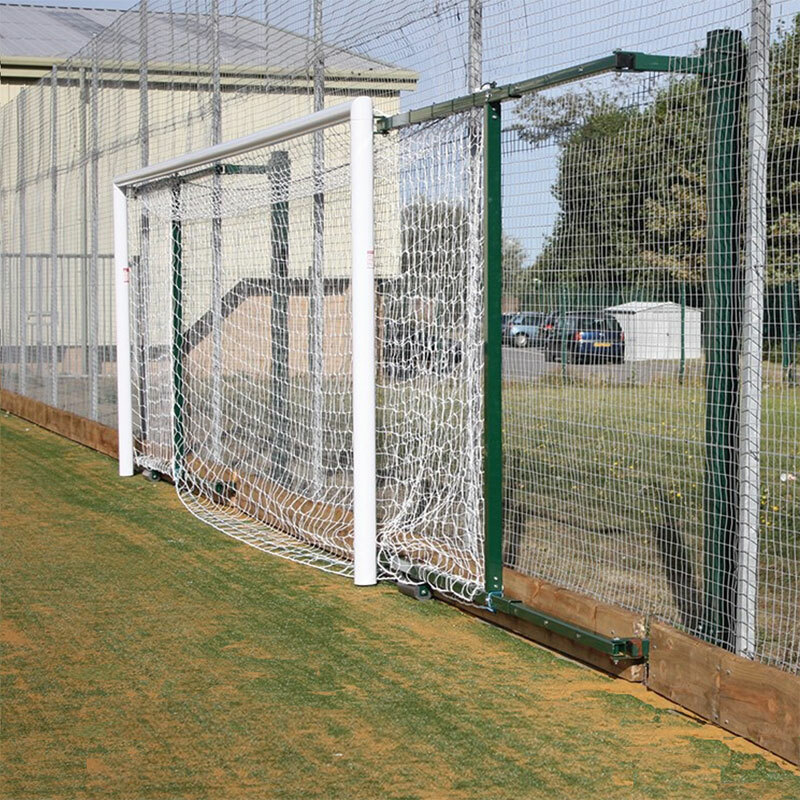 Hinged supports allow this goal to fold effortlessly by two people when not in use, allowing space and freedom for other sports. 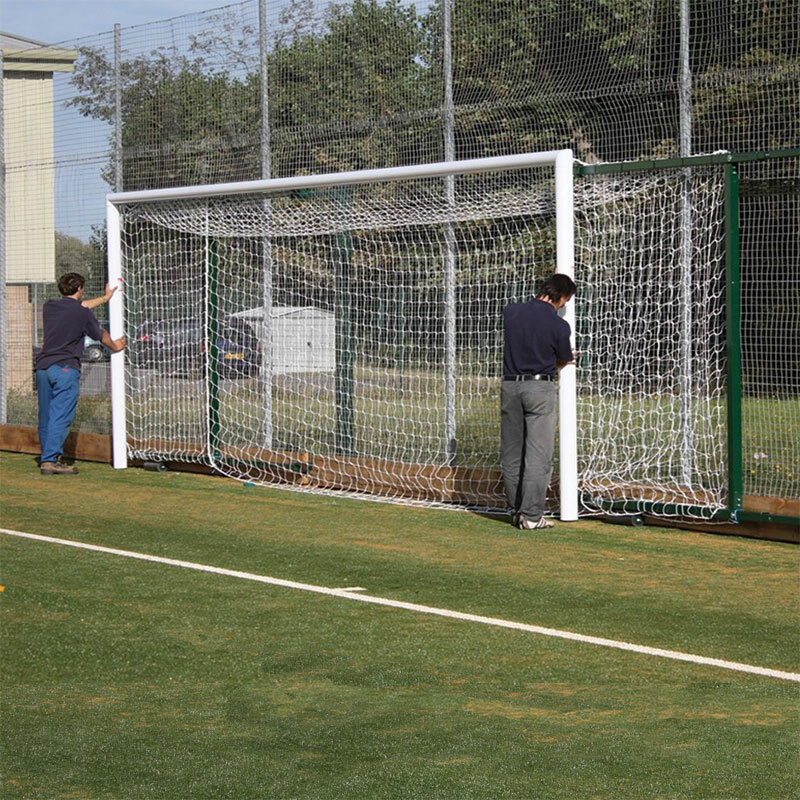 2 x Aluminium Fence Folding Goal Posts 21ft x 7ft. 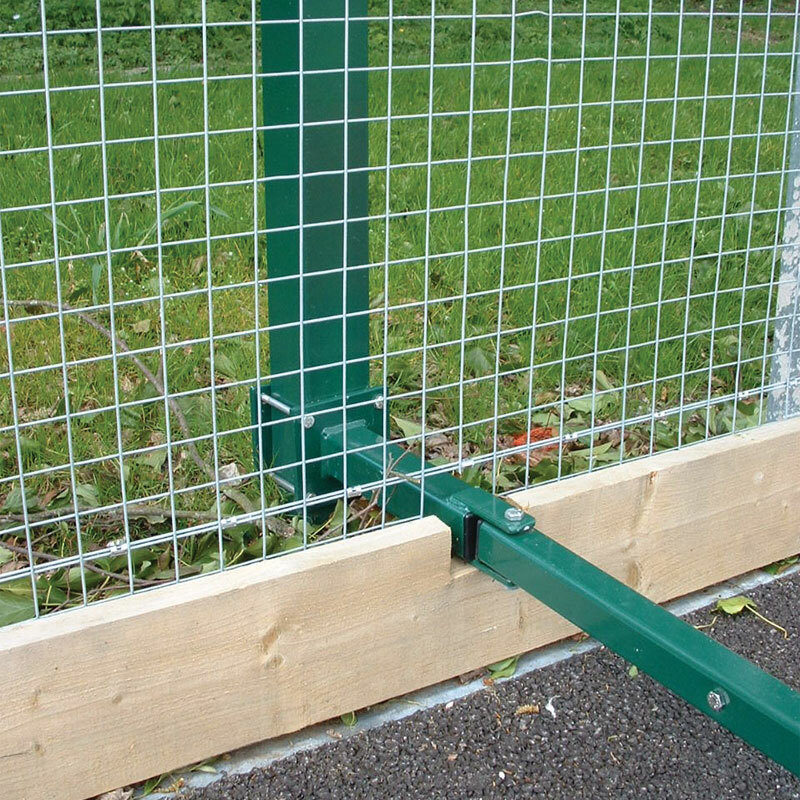 Uprights and crossbars made from 102mm x 112mm x 2.2mm thick reinforced aluminium. Complete with 100 unique lock-on synthetic net hooks and 28 nets clips. 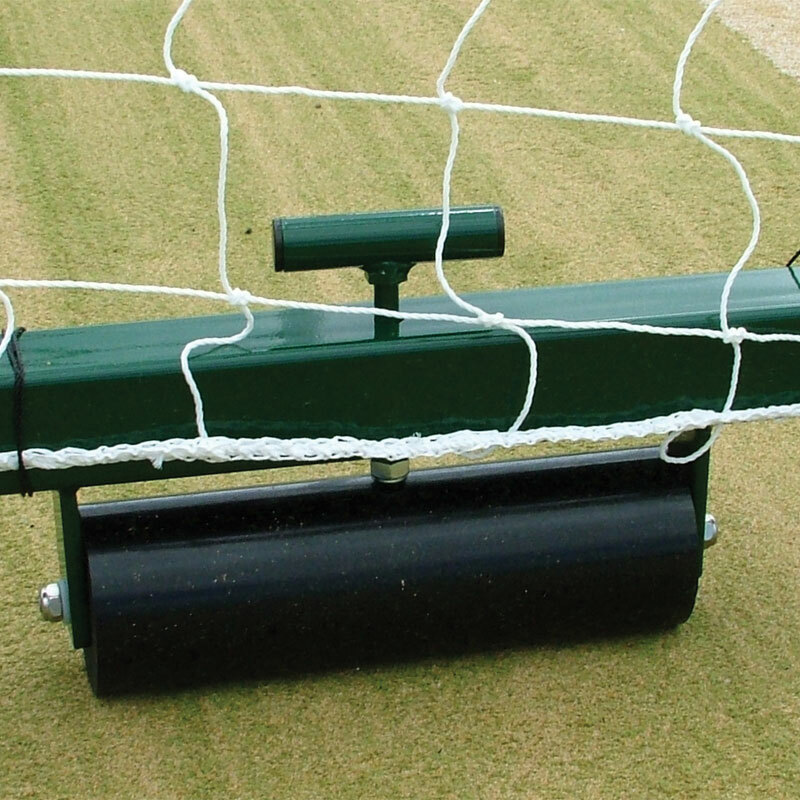 Side bars incorporate 90mm diameter, 300mm long roller style wheels with brake - 1 on each side. 460mm deep sockets with a 103mm square internal measurement. 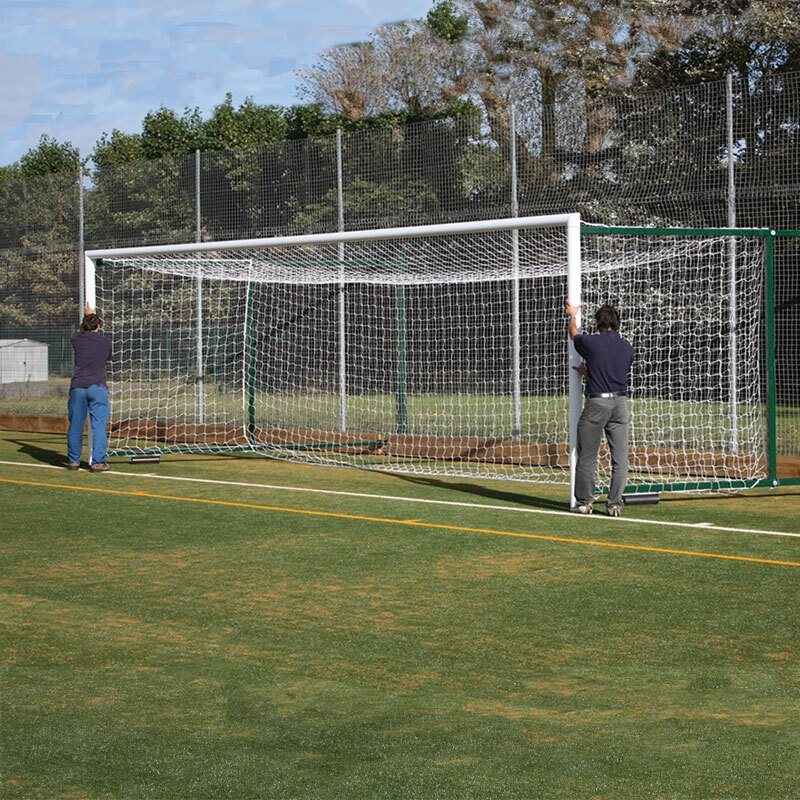 Jnr - 6.4 x 2.13m (21’ x 7’) - 2.3m to 3.5m (7'6" to 11'6") projection - 527kg per pair. Harrod Sport code FBL-614. Jnr - 6.4 x 2.13m (21’ x 7’) - 3.5m to 5m (11'6" to 16'5") projection - 583kg per pair. Harrod Sport cpde FBL-616.